Crystalbrook Superyacht Marina’s superyacht expansion was opened by the Hon. Warren Entsch MP in August 2015. 20 superyacht berths accommodate vessels from 25 to 50 metres length. Superyacht berths are heavy duty concrete construction and are equipped with three-phase power (up to 2 x 64 amps), potable water and fire services. The marina is protected by CCTV, electronic access gates and security patrols. The superyacht refuelling berth supplies competitively priced high-flow diesel at 250 litres per minute. Our concierge service is committed to making your stay as easy and enjoyable as possible. Staff will arrange your tours to the Great Barrier Reef or a visit to the Daintree Rainforest, as well as airport transfers, restaurant reservations, marine services, bunkering, provisioning, childcare and much more. 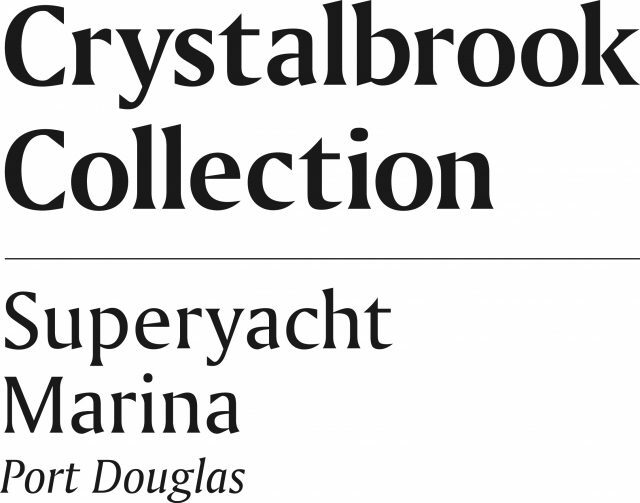 Crystalbrook Superyacht Marina’s retail centre features numerous dining, entertainment and shopping options. Port Douglas is renowned known for its first-class bars and restaurants and there are many options, whether you’re looking for international fare or local specialities. Crystalbrook Superyacht Marina is the perfect place to enjoy a cocktail as the sun sets over the mountain ranges, to sample fresh local seafood, or savour a locally brewed craft beer. Choose from a number of popular bars and restaurant options including Barbados cocktail bar, Lure seafood restaurant, and Hemingway’s Brewery which brews its own beer on site.